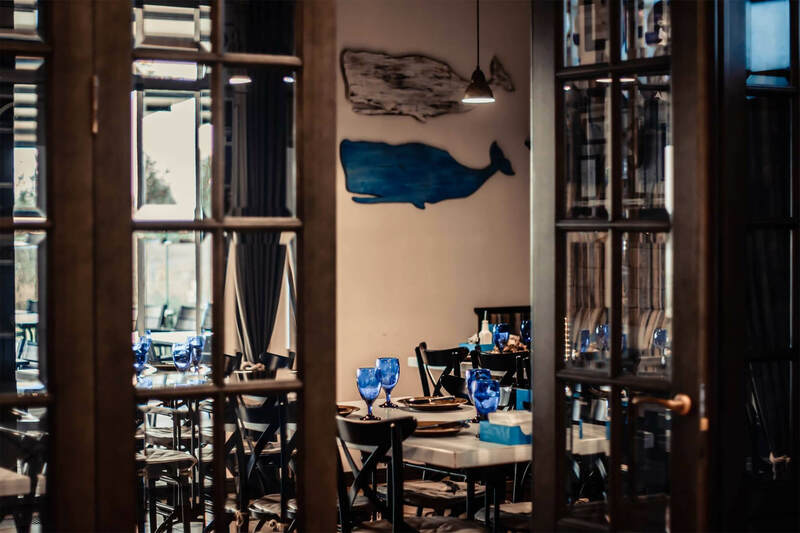 Faro del Porto - atmospheric trattoria on the Dnieper river bank which is styled with the legendary story "The old man and the Sea" of Ernest Hemingway. The visitors are waited with an old Santiago's trophy - a skeleton of a giant sea fish. There is a real Neapolitan wood-burning stove in the big hall of the first storey. They cook Italian delicious dishes just in this stove in full view of guests.